The strain was identified in a 68-year-old woman from the eastern province of Jiangsu who was admitted to hospital after falling ill on December 25 but had since recovered, according to China’s National Health and Family Planning Commission. 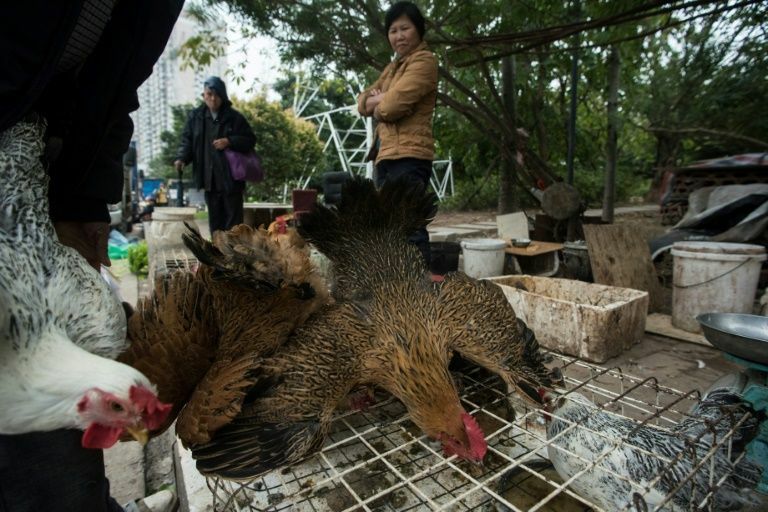 “She had contact with live poultry before the onset of symptoms,” Hong Kong’s Centre for Health Protection said late Wednesday after being informed of the case by Chinese authorities, who said the virus genes were of avian origin. The world’s first human cases of bird flu were reported in Hong Kong in 1997, when six people were killed by the H5N1 strain of the virus. Hundreds more have died worldwide in subsequent outbreaks, especially of highly-virulent strains like H7N9. “Travellers to the mainland or other affected areas must avoid visiting wet markets, live poultry markets or farms,” the Centre for Health Protection warned after the H7N4 strain was reported by China.